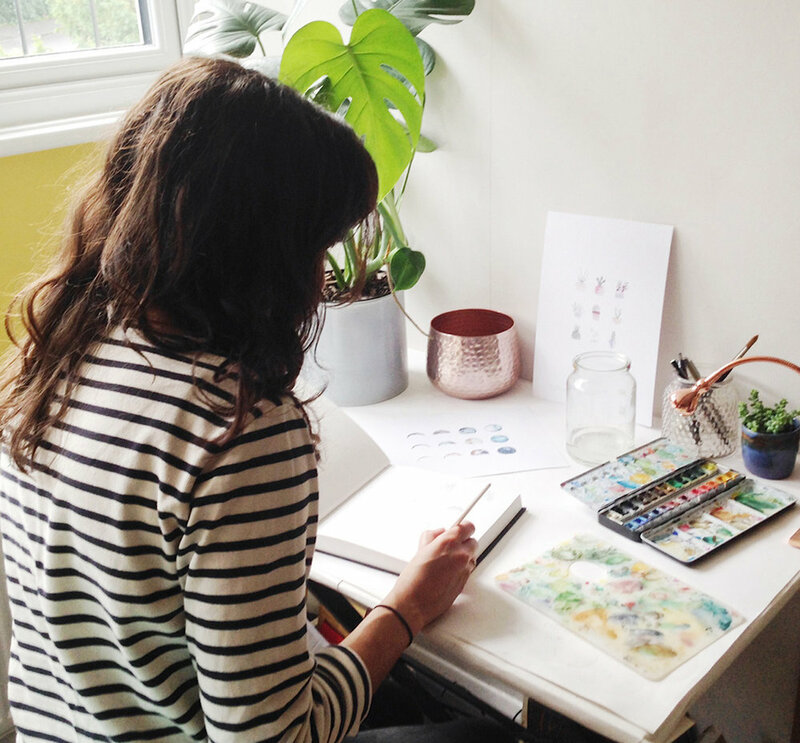 Bon Design creates handmade, highly detailed prints and ceramics inspiring the botanical in urban life. My work takes inspiration from nature and the outdoors and has been created as a medium for calm and clarity. Painting and creating pottery is a method of mindfulness, and each piece is created with a sense of peacefulness and is intended to be a beautiful addition to the contemporary home. All of my work is sustainable, with each piece being ethically sourced. My designs are printed on recycled high-quality paper and packaged in a biodegradable sleeve. The ceramics are made from an earthernware clay, which takes less energy to fire, and hand-painted with lead-free glazes. I create each print from an original hand-drawn and painted design. Each is lovingly edited and printed with a great deal of care about their quality, ensuring that they reflect the original as much as possible. Each ceramic piece is formed by hand, and painted using fine brushes. The clay is then bisque fired and glazed, then fired again for original (often slightly wonky) homeware and jewellery for the everyday lifestyle. I would like to inspire people with a lifestyle that cares for the sustainability of design, and an appreciation for the handmade; a method of small batch making that creates unique and individual items.